My journey to Everest started many years ago when a family friend made an attempt the summit. I remember hearing the stories of Everest and had a picture of Everest on the wall of my bedroom for years. The idea of Everest and just thinking about standing on the highest point on the planet, conjures up so many thoughts. The scale, danger, risk, reward, pain, elation all add to the allure of Everest and I needed to see Mount Everest for myself. I had to figure out how I could get there. I was nervous about researching it as I have had a couple of friends go and not make it. What I learned from them was take more days going up was going to be a priority. They only have minimal acclimatization planned in their itinerary and they didn’t know any better at the time. I wanted to do it right the first time. 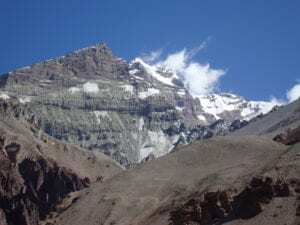 I have done some hikes before but nothing like this and read such a range of information about the trek being easy and you don’t need to train to Ian’s information that encourages people to train 4/5 days a week for 3+ months before the trek. Ian’s information kept coming up online. The information on the website was super usual as I started learning about the different routes, training, gear, distances, daily elevation gains and the best way to acclimatize. I reached out to Ian online and he got back straight away with a load of useful information. I was really interested in the 3 nights in Namche at 11,500 feet on the way up. My friends only had 1 night in Namche on the way up. After completing this trip I have to say the additional nights acclimatization made all the difference. We had a group of 10 people and we all made it to Everest and Kala phattar which was a radical experience. The team on the ground in Kathmandu and guides and support team in the mountains were first class. The pace was slow but so important for when we got above 14,000 feet. We acclimatized well lower down so when we went higher we were all feeling great. I have to say that the advice Ian gives on training for Everest is so important. I ended up doing a little more than recommended and built up to carrying 30lbs in my back pack in training and it made all the difference. We had a marathon runner in our team and he was super fit, his legs were sore and struggled with recovery all the way through the trip. He never trained with a back pack. I have to say the endurance training with weighted back pack was critical to my success and enjoyment. I ended up really enjoying the hills, walking and made my experience so much better. It was an emotional reaching the base of Everest. The views of Pumori, Nuptse and the top of Everest from Gorak Shep, Everest Base Camp and Kala Phattar will last a lifetime. The service from start to finish was exceptional. 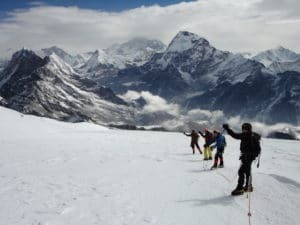 If you are thinking of joining a team to Everest then you need to pick the Ian Taylor Trekking team. We had double the amount of staff with us to other teams. Our guides and support team were steps above other teams we saw. The service prior to the trip was fantastic and I walked away from a trip that exceeded all my expectations.